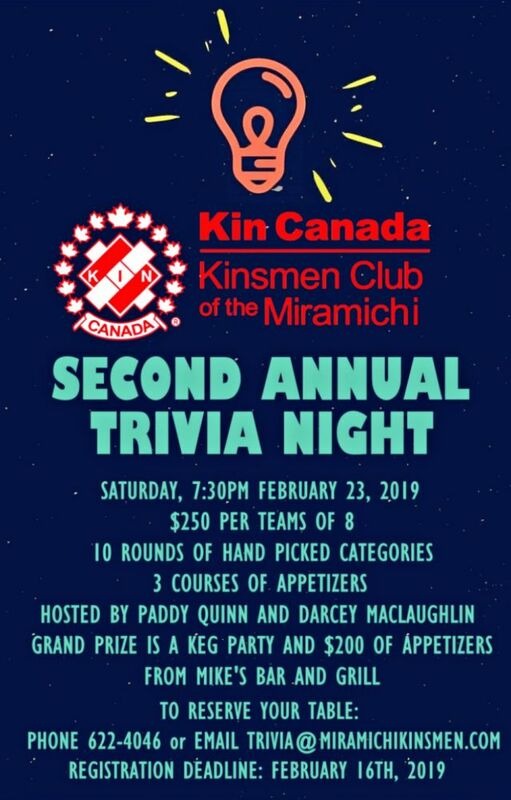 Come out to the Miramichi Beaverbrook Kinsmen Centre, 100 Newcastle Boulevard beginning at 7:30 pm on Saturday, February 23rd, 2019 for the Kinsmen Club of the Miramichi 2nd Annual Trivia Night. $250.00 per teams of 8, with 10 rounds of Hand Picked Categories. 3 Courses of Appetizers too! Hosted by Paddy Quinn and Darcey McLaughlin of 95.9 SUN FM. The grand prize draw is a Keg Party and $200.00 of appetizers from Mike’s Bar and Grill. 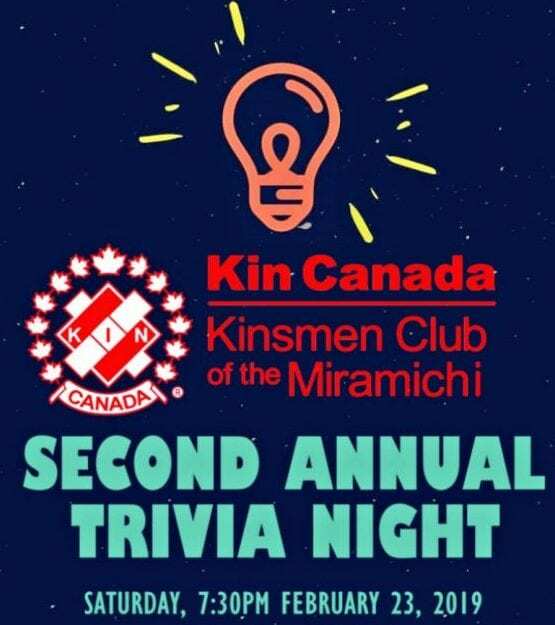 To reserve your table: contact the Kinsmen Club of the Miramichi at 1-506-622-4046 or email: trivia@miramichikinsmen.com. The registration deadline is Saturday, February 16th, 2019.